The 60’s woman may have been the caretaker for her mother. Making life’s daily decisions, feeding, dressing, and caring for her. Almost like she did when she began raising her children. In fact, she was caring for her mother in the same manner as one would do in child-rearing. The mother may not have been rational and suffered from dementia. The mother may have become almost child-like in her communications and her needs. The demands on the 60’s woman are every-bit as exhausting as it was in the start of her parenting of children. Society doesn’t get it. We do very little to accommodate the grief that a 60’s woman endures when her mother dies. Not only does she lose her mother, her history, and her identity, but also the loss of a child. The mother has become “the child.” Her grief is not only associated with the loss of her mother, but she also experiences the horrendous grief of loss of a child. Losing a mother at any age is difficult. 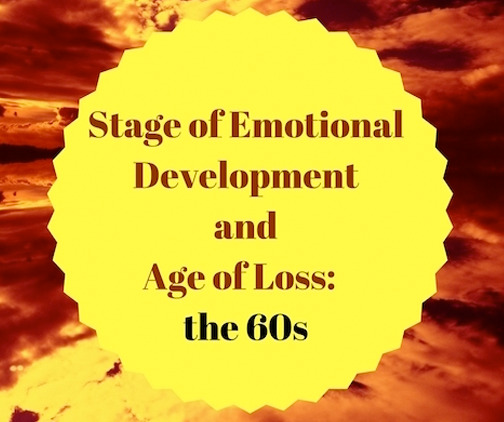 We have talked about the ages of loss from 0 to the 60’s. The only reason we don’t talk about loss beyond the 60’s is that most women have lost their mother prior to the 60’s. Included below are the links to all of the ages. I end this blog series with a poem I think we should hand others when we lose a mother. Please, don’t ask me if I’m over it yet. Please, don’t tell me she is in a better place. I haven’t come to terms with why she had to suffer at all. Unless you have lost a mother. Please, don’t tell me you had her for so many years. What year would you choose for your mother to die? Please, don’t tell me God never gives us more than we can handle. Please, just let me talk about my mother. Please, mention my mother’s name. Both the blog and the poem are wonderful! Thank you Penny. I pray it will bring some hope and understanding to others. They are not alone. We get it.